Never Plead Guilty - Contact a Hamilton Criminal Defence Lawyer Now! Until you've discussed your case with a criminal defence lawyer. Call Frank Genesee today for a free review. Never Plead Guilty® to criminal charges. The decision to plead guilty to criminal charges could negatively affect the rest of your life. Never plead guilty to any criminal charge until you have consulted Frank Genesee, an experienced criminal defence lawyer in the Hamilton area, and have been advised of your options and the possible consequences of entering a guilty plea. Frank Genesee will arm you with the knowledge and advice that you need to make a fully informed decision that will result in the best possible outcome for your situation. Call Frank Genesee today at (289) 426-1644. Why you should call Frank Genesee today. If you are facing criminal charges, it is vital that you contact Frank Genesee as soon as possible. Earlier in the process, there are more ways in which Frank Genesee may be able to help you. Not only will Frank Genesee advise you about entering a plea, but, if you decide to plead not guilty, we will preserve the evidence necessary for your defence by speaking with you and other witnesses before memories fade. We will also ensure that any physical evidence relevant to your defence is properly preserved before it disappears. Calling Frank Genesee immediately will ensure that you enjoy the maximum benefits of having an experienced criminal lawyer on your side. Reserve your plea (this means that you postpone entering your plea to a later date). The judge may allow you to reserve your plea to enable you to consult a criminal defence lawyer and become better informed about your options. If you have not yet contacted Frank Genesee, the time to do so is now, before entering a plea. Once you plead guilty, there is generally no going back and there may be fewer ways in which Frank Genesee can help you at that point. Frank Genesee will outline your options. How to analyze your case and present you with your options. How to prepare for and conduct your trial. The local judges and prosecutors, their likes and dislikes, and the negotiating style of each prosecutor. Criminal law, precedents (past case decisions) and procedure. How to get the best possible outcome for your case. While you can technically represent yourself in court, it is not recommended. You do not have the skills or expertise necessary to handle this on your own. 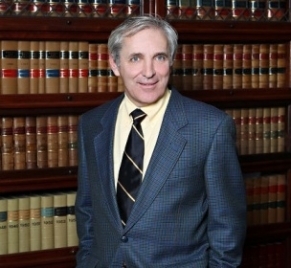 Only a capable and experienced criminal defence lawyer like Frank Genesee can get you the best possible results. Find out if plea negotiations are right for you. A plea bargain occurs when the crown prosecutor agrees to reduce the charges against you and you agree to plead guilty to those reduced charges. Depending on your circumstances, negotiating a plea bargain may be your best option. Never try to negotiate a plea bargain without your lawyer. The prosecutor will know that you are negotiating from a position of weakness and will take advantage of your lack of experience and your personal interest in the outcome of the negotiations. In most cases, Frank Genesee will be able to get you a much better deal than you could get on your own. 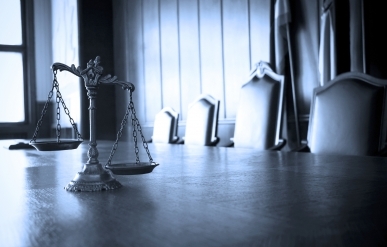 Know which crown prosecutor to approach about a plea bargain and when to do so. Analyze your case and the relevant laws to find incentive for the prosecutor to agree to a plea bargain. Know which judges you do (or do not) want to appear before. A plea bargain often includes an agreement about which judge will hear your case, which can be an advantage. Talk to Frank Genesee today to find out if plea negotiations are right for you. Consider the repercussions of a criminal record. The penalties of a criminal conviction can be severe. Before pleading guilty, you should consider all the consequences of having a criminal record. Frank Genesee can provide you with all the facts about how a conviction will affect your life, both in the short term and the long term. Need to pass a criminal records check to obtain (or keep) a job? Need to travel or move to another country for work? A criminal record may inhibit your ability to do all these things and more. Talk to Frank Genesee before you plead guilty. The Criminal Records Act enables a rehabilitated person to obtain a suspension of their criminal record. However, there is a waiting period that must pass before you might qualify for a record suspension. If you have already been convicted of a crime, speak with Frank Genesee to determine if you might qualify for a suspension of your criminal record. Never plead guilty until you have consulted a lawyer. The potential consequences of a conviction are too severe for you to take your chances without an experienced criminal defence lawyer. Never plead guilty to criminal charges until you have spoken to Frank Genesee and hd your case reviewed.